The average cost of memory care in Columbia County is $4,876 per month. This is higher than the national median of $4,650. To help you with your search, browse the 13 reviews below for memory care facilities in Columbia County. On average, consumers rate memory care in Columbia County 4.2 out of 5 stars. Caring.com has helped 5 families in Columbia County find high-quality senior care. To speak with one of our Family Advisors about memory care options and costs in Columbia County, call (855) 863-8283. Bordered on the east and north by the Savannah River, Columbia County has a population of 151,579, with 13 percent being age 65 or older. 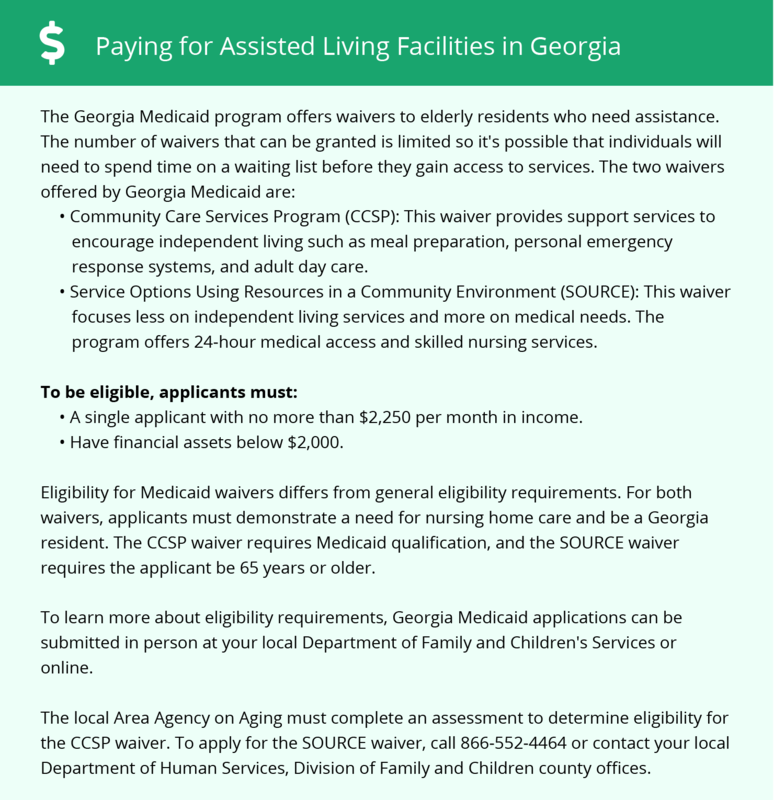 The number of senior residents living in Georgia is expected to swell from 140,000 currently to 190,000 by 2025, and a significant portion of them may have Alzheimer's disease, requiring specialized treatment and supervision in an assisted living facility (ALF). To house and safeguard seniors with dementia, ALFs must be licensed as memory care units (MCU) by the Georgia Department of Community Health, the agency that also regulates and monitors the four MCUs located in Columbia County in the cities of Evans, the county seat, and Martinez. The area receives an average of 45 inches of rain annually with only one inch of snow, as opposed to the U.S. averages of 39 and 26 respectively. Summer highs reach 92, and the lows in January are around 33. Columbia County has 13 more days of sunshine yearly than the national average. These factors earned the city a Sperling's Comfort Index of 76 out of 100, which is 22 points higher than the U.S. norm. The reasonable cost of living rating of 101.3 is almost identical to the state and national ratings of 100, and housing and healthcare are in the normal range also. Families may save money by staying in a moderately priced area like Columbia County. Columbia County is home to world-class medical facilities in the event of medical emergencies or illness, including Doctor's Hospital and University Health Care System. State tax laws favor senior citizens aged 65 and older whose Social Security payments and retirement account pension are exempt from state taxes, as is the first $65,000 of income earned annually after retirement. Seniors on a fixed income may also be attracted to property tax deductions and exemptions and the minimal 4 percent sales tax, which can vary by as much as 4.9 points, depending on the municipality. Memory Care costs in Columbia County start around $4,876 per month on average, while the nationwide average cost of memory care is $4,798 per month. To see a list of free memory care resources in Columbia County, please visit our Assisted Living in Georgia page. Columbia County-area assisted living communities must adhere to the comprehensive set of state laws and regulations that all assisted living communities in Georgia are required to follow. Visit our Memory Care in Georgia page for more information about these laws.